Our mission is to help our clients develop a deep sense of confidence that their retirement plans will provide financial security for their employees. 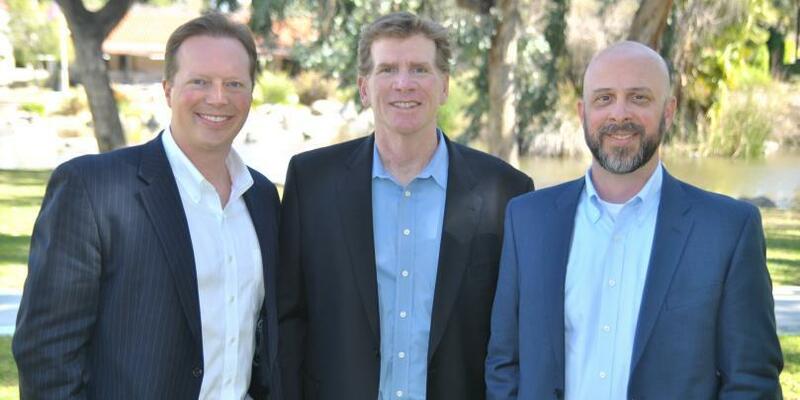 In June 2003, Mike, Tom and Chris joined as partners to service 401k plans on the basis that employees need to be educated on why to save and how to do it, and employers need to be educated on what questions to ask to ensure that their plans are efficient, compliant, and high performing. Our vision is to change the way participants view their employers’ retirement plans by making them inspiring. Our value proposition is to help our clients increase employee participation through education and communication, reduce plan risk and expense, and transfer work from your desk to ours. •2002 - 2009:UBS Financial Services, Inc.
At The TRC Group, we have access to first-class resources that are designed specifically to tackle the hurdles you and your employees face and the specialized knowledge and experience to address those challenges now and in the future. Our priority is to understand and consult on the specific needs of you and your employees in a collaborative, professional and educational manner - one that places your goals at the center of our relationship. Tom has been providing a wide range of retirement plan services to employers and plan participants for 17 years. Among his responsibilities, he creates comprehensive employee education programs for participants, ensuring that they are highly informed on such topics as building wealth, asset allocation, income generation and asset protection in retirement. Tom specializes in educating plan participants through on-site group meetings, one-on-one financial planning and participant transition consulting. His passion for education is most evident by the amount of time he spends with participants to simplify the complexities of investing. In fact, he has firmly established a solid reputation for describing complicated topics in an easy-to-understand manner and empowering participants to be confident investors. Tom is a Corporate Retirement Director representing less than 2% of Financial Advisors identified by Morgan Stanley as retirement-focused Financial Advisors. He is also a member of the TRC Group at Morgan Stanley, recognized by Plan Sponsor Magazine as one of the Top 100 Retirement Plan Advisor Teams in 2011. He holds several noteworthy designations. 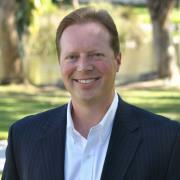 He is a Certified Financial Planner™ and a member of the Financial Planning Association. He is a Chartered Retirement Plans Specialist™, highlighting his dedication to the retirement plan industry, and is a member of the National Association of Plan Advisors, a sister organization of the American Society of Pension Professionals & Actuaries. Tom has been recognized for his work with plan sponsors and participants. In 2015, The Financial Times named him to its prestigious list of America’s Top 401 Retirement Plan Advisors. A graduate of California State University, San Marcos, Tom holds a B.A. degree in Business Administration. He has also earned an academic certificate in Personal Financial and Estate Planning from San Diego State University through SDSU’s graduate school of business. For more than a quarter century, Mike has dedicated his entire career to helping clients understand, create and manage retirement plans that meet and anticipate their unique needs and fiduciary responsibilities. He has extensive relevant experience and holds several titles that underscore his unwavering commitment to this highly detailed area of financial services, as well. He works closely with employers to develop a best practices approach to managing all aspects of their retirement plan – from providing them with the most competitive plan, to managing their fiduciary liability, to protecting their many interests. Mike is a Corporate Retirement Director representing less than 2% of Financial Advisors identified by Morgan Stanley as retirement-focused Financial Advisors. He is also a member of the TRC Group at Morgan Stanley, recognized by Plan Sponsor Magazine as one of the Top 100 Retirement Plan Advisor Teams in 2011. While building his business across a broad spectrum of diverse industries, Mike has earned numerous designations. He holds the Certified Investment Management Analyst™ Designation from the Haas School of Business UC Berkeley and is a member of the Investment Management Consultants Association (IMCA). Mike earned the Certified Financial Planner™ Designation from Boston University and is a member of the Financial Planning Association. He is also a member of the National Association of Plan Advisors, a sister organization of the American Society of Pension Professionals & Actuaries. Most recently, Mike earned his Certified 401(k) Professional designation through The Retirement Advisor University at UCLA. Mike has received many accolades for his work in the retirement plan arena. 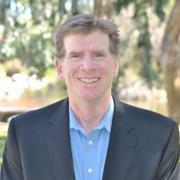 In 2011, 401Wire recognized him as one of the Top 300 Most Influential Advisors in the 401(k) plan Industry. In that same year, he was inducted into the Morgan Stanley* Business Owner Executive Council, an invitation-only program reserved for the top 2% of Financial Advisors that have shown an extensive understanding of the needs of small- and middle-market business owners. Mike has been married to his lovely wife Sandra for 21 years. They have proudly reared four children, each of whom excels as student/athletes. Mike and Sandra have routinely exhibited an unwavering commitment to education and hard work, which, they believe, has contributed significantly to their children’s success. Mike and his family live in 4S Ranch, CA. 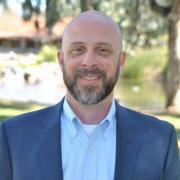 In his spare time, Mike enjoys coaching youth sports, working out, art and travel. Chris has nearly two decades of experience in financial services. For most of his career, he has specialized in serving the many needs of retirement plan clients, such as Human Resource Managers, and plan participants. In fact, Chris views his role as an extension of a companys Human Resource department, because he frees up time for clients to spend on other areas of their business. As a Morgan Stanley Portfolio Associate, and the dedicated relationship manager for the TRC Group at Morgan Stanley, he handles most of the day-to-day duties that ensure each clients satisfaction with their retirement plan. This includes coordinating education and enrollment support to plan participants, coordinating the distribution of monthly newsletters, and scheduling quarterly plan reviews with Plan Sponsors. While Chris possesses many positive attributes, he is perhaps best known for his strong communication skills. Whether a Plan Sponsor would like specific information on a particular investment or a plan participant requires education on asset allocation, he has the expertise and the ability to deliver The TRC Groups investment philosophy in simple, easy-to-understand terms. Ready to start a conversation? Contact The TRC Group today.